Writing this one with two hats, blogger and Executive Officer of the Inner North Community Foundation. A few weeks ago, the Inner North Community Foundation had its first PLuGIN (Philanthropy Leadership Group in the Inner North) – which had its genesis around September when I was attending the Community Foundation Forum and Madison Downunder. The Inner North Community Foundation has a very small donor base, and we wanted to do something to drive community engagement, both to build on our relationship with our donors, but also to connect more directly with our community – so the idea of a networking event with a speaker from our area (covering the municipalities of Darebin, Moreland and Yarra) with experience in community and philanthropy was born. The Inner North Community Foundation hopes to do this every few months. 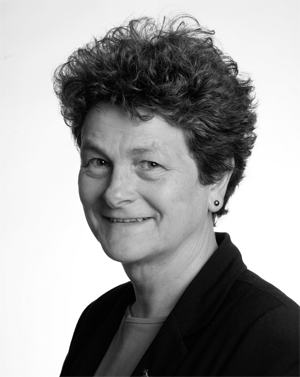 Mary Crooks from the Victorian Women’s Trust who is a long time Northcote local agreed to be our inaugural speaker. I cheekily asked her to talk about her views on community and philanthropy (and not too much on the Victorian Women’s Trust please). An intimate audience of 12 was treated to a very well researched crash course/tutorial in how to develop a new community foundation further, to engage with our constituency (made up not only of people within our geographic region, but the councils, employers, workers and schools here as well). Mary clarified the challenge as being how to make people want to claim the community foundation as their own, and make the constituency ours. How do we give meaning to the word “community” in Community Foundation? I had not given Mary much background but she spoke to us as if she knew exactly what stage of development we were at. It is still embryonic, particularly in relation to the Victorian Women’s Trust which has been going for 25 years. I had not realised that the Victorian Women’s Trust also operates in the same manner as a community foundation with the ability to offer donors subfunds (or named funds). These allow donors to state their preferences as to where the income is distributed (as long as it fits within what is allowed by the constitution of the organisation and the legal parameters of its charitable or public funds). The main question Mary posed to us – and extremely pertinent given we have just done our first major direct mail fundraising appeal – was – how do we get ordinary men and women to feel a sense of ownership and connection with this thing called a community foundation? Do people recoil from the idea of philanthropy because it is so closely linked in many minds to big giving and largesse? Would we be better off using the term “social investment” because our goal in the end is social change through addressing barriers to employment for disadvantaged and marginalised members of society? Do some people find “philanthropy” itself a barrier to engaging with community foundations because they assume there is already enough money in the kitty? Mary spoke most eloquently about the importance of story telling and developing partnerships. This is something all of the not for profit blogs, readings and books emphasise. The trick of course is putting it into practice without sounding mawkish and desperate. How can we convey the humanity of what we are funding when we mostly speak about funding organisations and projects which can seem very removed from the people who actually admit they need some help or assistance, are brave enough to sign up for a program and come in to various centres to learn skills and undertake training? and I am very pleased that Mary did speak about the Victorian Women’s Trust. It was enlightening for me to hear about its history and more views on social investment with the gender lens. It also helped me join some dots – Mary is on the board of the Australian Women Donors’ Network which brought out Abigail Disney last month. (Thanks to you all for a great response in readership to that post). Whenever I think I am beginning to get a handle on how philanthropy and social investment work – I find myself confronted by more data, evidence, intellectual rigour and deep humanity which makes me reassess where I am in my learning curve. While I felt that Mary’s talk was tuned directly to me and our community foundation board members, our donors, grant recipient organisations and people interested in philanthropy and community in general who attended did give some good feedback (and I think didn’t feel left out). I know some of you who were there are reading this – let me know what you thought about the issues raised – especially about ways to engage others in our journey, and the linguistic perils of being too caught up in mission – and not articulating the humanity of what we do. (and when I say we – I mean we in fundraising/philanthropy and social investment generally). It is hard to explain to people not in the know – or not on our same wavelength what it is that philanthropy/social investment/foundations can achieve. What are some of your tactics? This entry was posted in fundraising, philanthropy and tagged Abigail Disney, Australian Women Donors' Network, Inner North Community Foundation, Mary Crooks, not for profit, PLuGIN, social change, Victorian Women's Trust. Bookmark the permalink.